When I'm procrastinating taking a break from rewriting/writing/researching furthering my education/employment opportunities, I find watching TV shows on DVD to be a bit more relaxing lately than reading a book. This is mainly because really good books make me sad, because I wish I had written them or were the sort of genius person that could write similarly, and books that are lame or mediocre annoy me because why did I waste an afternoon reading that? Whereas I watch a ridiculous TV show (and they have to be on DVD because 1. I can't stand ads; and 2. I can't stand not having resolutions to cliffhangers immediately), and an episode takes about 40 minutes and they don't generally make me feel like an inferior writer. Also, I pretend that technically everything counts as working, because life is inspiration for writing! Watching TV is giving me ideas! I am becoming a better writer by the minute, and I don't even have to write. (I am very good at rationalising.) I have previously stated I am not a fangirl, so perhaps obsessed isn't the right word in this instance. 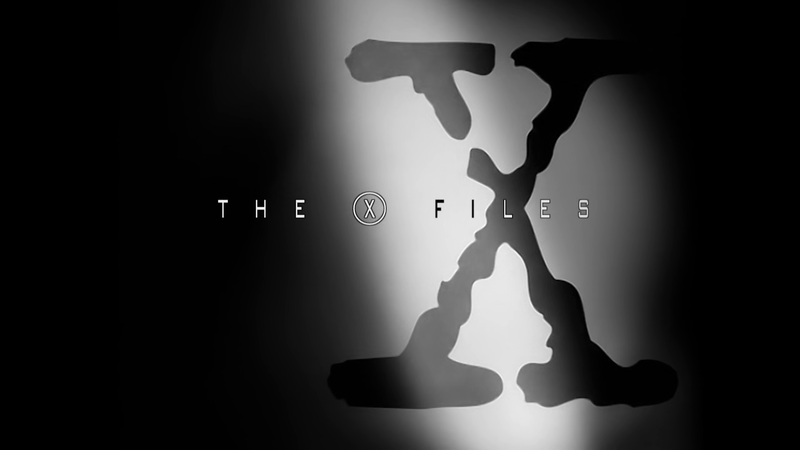 However, in terms of sheer ridiculousness (which is my favourite of all things), The X-Files is a most excellent series. Also, it's finished, which means no annoying wait for the next season to come out. This is why I like it: aliens! hello! Also bad 90s & early 2000s clothing, melodramatic acting, the continual use of 'the government covered it up' in the place of a conclusive ending, and it becoming steadily more unbelievable as it progressed. I have a top ten and everything (Bad Blood, Clyde Bruckman's Final Repose, Jose Chung's 'From Outer Space', Humbug, Field Trip, Dreamland, Dreamland II, Hungry, X-Cops, Hollywood AD - all of the humorous ones). There's another episode which does not make the top ten, because I don't really like it, but it has a concept I do like - Milagro, wherein a writer's character comes to life (this is terribly spoileriffic - the character is also a killer. If my characters came to life, they'd all sit around and angst and be quirky and become quite irritating after a time, but they certainly wouldn't kill anybody). Other shows I like: Supernatural (makes me want to write stories about demons and beasties and so forth! ), True Blood (again, ridiculousness, I love it), Arrested Development, Chuck. This is a condensed list. Also I am in the middle of Kolchak: The Night Stalker which is a ridiculous 1970s series about a reporter hunting the supernatural. The supernatural is usually just a guy dressed up as a werewolf or a vampire or a zombie, throwing people around. It's great, as you can imagine.